No. 4 Pentire Rocks is a contemporary three-bed apartment, with modern design and open plan living. Outdoors, there's a patio perfect for BBQs or admiring the sunset. 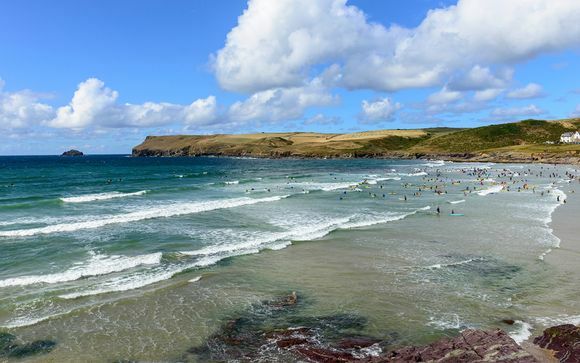 An ideal location for enjoying Polzeath, home to a famous surf beach, lively cafes and restaurants, plus a fantastic selection of shops. This property sleeps up to 6 adults for a self-catering stay - perfect for a family summer holiday. No. 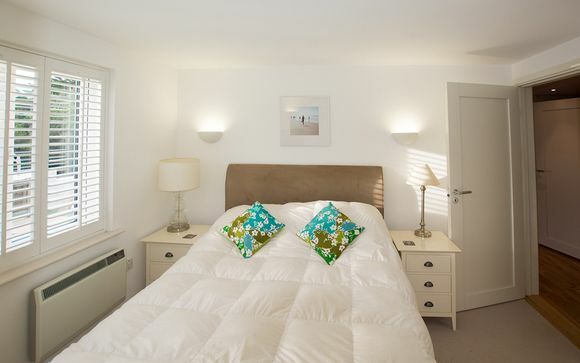 4 Pentire Rocks is situated in New Polzeath, just a short walk from the award winning Polzeath beach. With its vast expanse of sand and brilliant surf, watsersports is the most popular pastime here! There are two surf schools on the beach who offer equipment hire, lessons and practical beach-side advice. You can also take a short ferry from Rock to pretty Padstow (25 minutes) to try Rick Stein's famous seafood restaurant, or head to Port Isaac - a charming seaside town is just 15 minutes drive away where you will find lively cafes and a daily fish market. This offer is based on a 3 bed apartment for up to 6 adults. 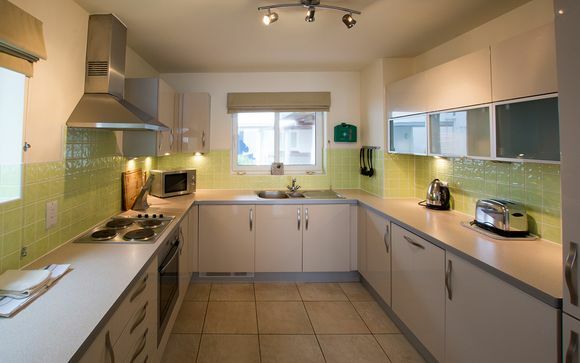 This contemporary three bedroom maisonette offers a great base for your stay in New Polzeath. Furnished with every amenity you could need, the welcome hamper on arrival will make you feel at home right away, and the open plan living space is spacious and relaxing. Spark up the BBQ and soak up the sunshine on the patio - the handy outdoor furniture invites you to set up camp here on a long summer evening, admiring the sunset. Please note: cancellation charges differ and are higher to those outlined in our terms and conditions. Check in is at 4pm at the Trebetherick House. Please note that the office closes at 17.30. If you are arriving out of office hours the key safe is in a white box situated on the far right hand outside wall of the office.